Jack and Annie head to 18th-century Austria, where they must find and help a musician by the name of Mozart. Decked out in the craziest outfits they've ever worn, including a wig for Jack and a giant hoopskirt for Annie, the two siblings search an entire palace to no avail. Their hunt is further hampered by the appearance of a mischievous little boy who is determined to follow them everywhere. 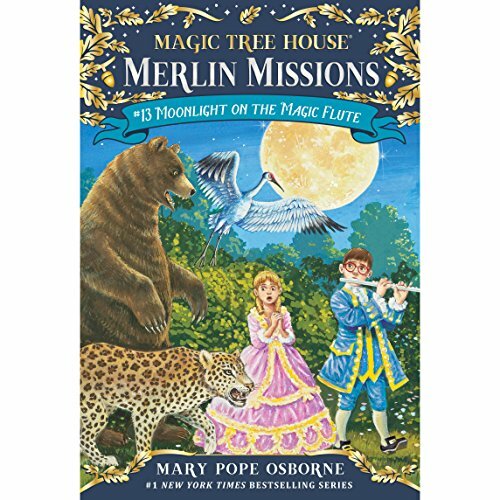 But when the boy lets the animals out of the palace zoo, Jack and Annie have to use the only magic at their disposal to save themselves and the naughty little fellow. Wolfie. It was a.good bool! Just a great story, my kids love this!